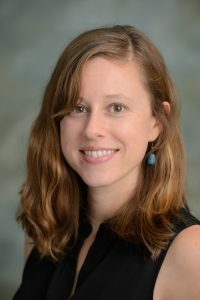 Dr. Laura Hinson currently serves as a Social and Behavioral Scientist at ICRW, where she works to identify and reduce barriers to sexual and reproductive health for men, women, adolescents and other marginalized populations. She currently directs two large research and evaluations projects related to child marriage and family planning in Africa and Asia. Besides her current research on technology-facilitated gender-based violence, Dr. Hinson’s recent work has included conceptualizing and developing measures for reproductive empowerment and decision-making. Dr. Hinson has worked with multi-lateral institutions, foundations and international and local NGOS, including the World Bank, USAID and the Gates Foundation. Previously, she worked with the Gates Institute for Population and Reproductive Health, Advance Family Planning and FHI360. Education: Dr. Hinson earned a PhD from the Department of Population, Family and Reproductive Health at the Johns Hopkins Bloomberg School of Public Health, and an MPH from the Department of Health Behavior (formally: Health Behavior and Health Education) at the University of North Carolina's Gilings School of Global Public Health.